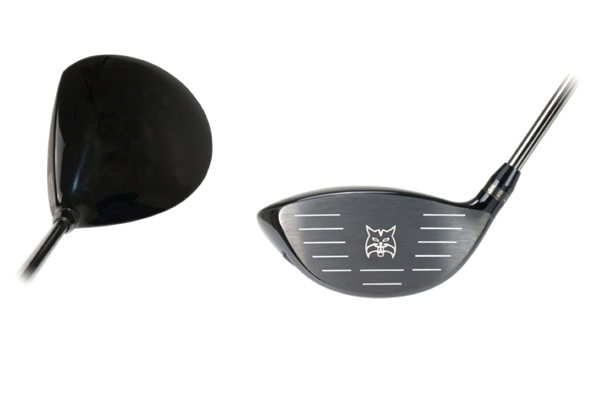 Lynx say the #BB is their most technologically advanced and adjustable driver. Two sole tracks (and two 3g weights) dial in either an enhanced draw or fade shot bias and an adjustable hosel allows you to choose your perfect loft. It’s been a long time since Ernie Els and Freddie couples rocked Lynx irons and woods, but slowly and surely Lynx are clawing their way back to being players in the equipment market. For 2018 the brand are breaking back into the American market, which is a significant step forward. Our test pro liked the simplicity of the BBs round head, its lack of an alignment aid and how the head looks fuss free and pretty sat behind the ball at address. As nice as the two sliding sole weights are, combined they weigh 6g where the market leaders (TaylorMade M3) offers 22g of weight to position. It means in terms of performance we saw little difference moving the weights. The shafts an interesting choice as Recoil is a common choice for graphite shafted irons but all in the BB was right on our test average for ball speed and carry distance. £329 is a lot of money for a Lynx driver. For us performance was solid enough, but at this price we reckon it’s a big ask for the #BB to attract the attention of golfers who’d usually look at spending this much on a new driver.